Comfort & Thurler Holsteins is a cooperation between Comfort Holsteins and Thurler Farms, Inc. The goal is create the highest genomic offspring for GTPI, RZG and GLPI. This to be in black Holsteins as well as red. For red Holsteins the focus is on the dominant red gene which accelerates progress in red and polled. New, high-ranking GTPI and gRZG donors, have been added to the line-up of Comfort and Thurler Holsteins! Both heifers will be worked very soon. With +2754 GTPI and +161 RZG, N-Springhope Rio 3191 is one of the most interesting Rio daughters in the breed. 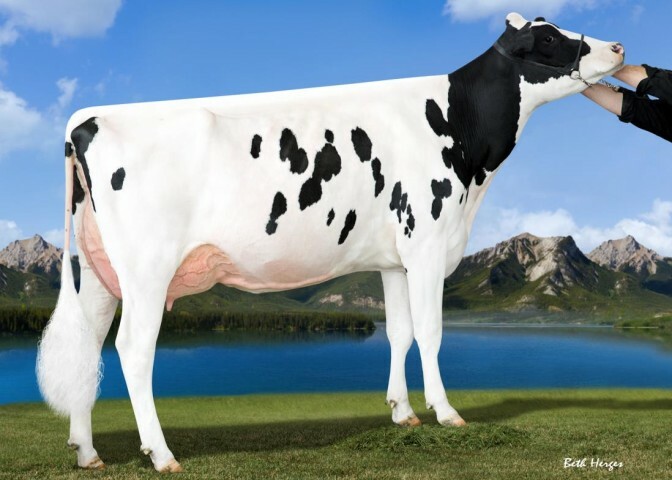 Her dam is already scored VG-85 as a 2-Yr-Old and goes back to the Milkworth Manfred Yadda, the same cow family that produced the #1 GTPI sire Legacy @ Select Sires and the #1 RZG sire Durable @ ABS Global. Comfort Thrlr Grnte Fancy is the next generation donor from the tremendous transmitting MAKEA family! With 156 RZG (12/18) she is a high-ranking daughter by Guarantee from an already VG-85 Modesty daughter from Comfort Kingboy Princess. Both heifers will be in an extensive flush program soon! Comfort and Thurler Holsteins updated their donor page with several new high RZG heifers! Including a high RZG daughter back to Lila Z, a +2886G Fortune daughter back to SULLY SHOTTLE MAY and a GRZG+153 Bandares daughter, her maternal sister sold in Fun in the West Sale 2017 for $51,000! 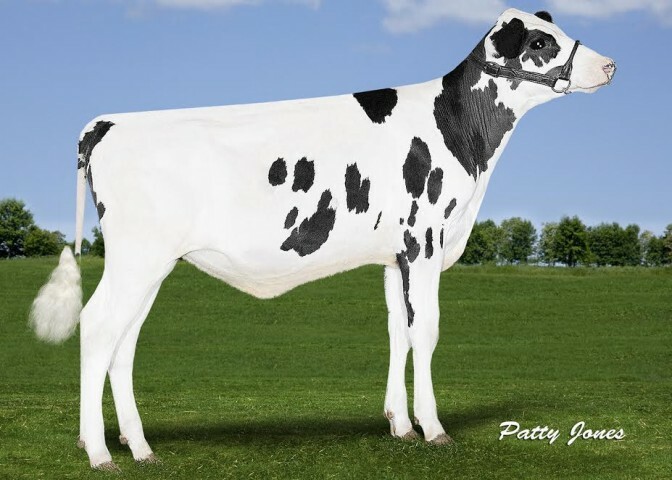 Comfort Thrlr Frtun Rosa scores a GTPI+2867 +964NM$ +1908lbs of milk and +81lbs of fat... A Fortune daughter directly out of Thurler Jedi Royal that sold for $61,000 in the 2017 National Holstein Convention Sale... Royal has a RZG+158 and embryos that have sold to Germany! Don't miss your chance on Rosa at the Fun in the Sun Vegas Style Sale! The Fun in the Sun Vegas Style Sale will be held December 8, 2017 at 1:00pm PST in Las Vegas, NV. There will be 48 lots selling that are genomic leaderswith huge potential! Also 28 Holstein lots sell over +2800GTPI and 3 over +2900GTPI! In addition 5 of the highest GTPI in the Jersey breed sell. A recent classfication at Comfort and Thurler Holsteins has made Peak Marq A1 942 VG-85! 942 is an early alta1stClass daughter from genomic powerhouse Marquisse! Lot #10 of the World Classic Sale... Comfort Modesty Freespirit a +2777GTPI / +3235GLPI Modesty backed by the genomic transmitter Aija Supersire Makea! Tremendous donor dam confirmed pregnant to Sexed Slamdunk! A great day for Comfort and Thurler Holsteins, with 9 animals in the Top 10 GPA-LPI for Variant Reds they are truly dominating the list. #1 RZG Jedi in the WORLD! Selling as Lot 3 in the National Convention Sale is Thurler Jedi Royal... An impressive Jedi daughter that scores a GTPI+2849 / +3516GLPI / +158RZG +2146lbs of milk and +74lbs of fat. She is currently the #1 RZG Jedi in the WORLD! Her dam Peak Marq A1 942 is fresh roughly 30 days and already milking over 90 pounds a day! The 2017 National Convention Sale will be held Friday June 30, 2017 in Bellevue, WA. 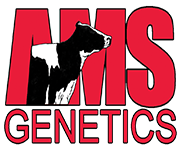 There are several offerings from genomic heifers, backed by All-American and State Show winning dams, deep maternal lines, red & whites of prominence and many more exciting offerings that will fit your specific needs! Top 50 GTPI Heifers 9-24 months list has been posted. With STANTONS JEDI ELISA topping the list with a GTPI +2967. Comfort and Thurler Holsteins are dominating the Top 10 GPA-LPI Variant Female list in Canada. No less than 8 females in the Top 10 come from the Comfort and Thurler Holsteins breeding program. Topping the list are two Red Denver daughters followed by a GPA-LPI+3098 Red Jedi that was bred by Hollenshead Farms. Stanton delivers 3 flush-age females in Top 5 GPA-LPI! An impressive day for Stanton Brothers LTD. No less than 3 of their flush-age females rank in the Top 5 GPA-LPI flush-age females in Canada! CLICK HERE for the complete Top 25 GPA-LPI Flush-Age females (Age 9-30 months). Elite offerings from Holstein Plaza Members SELL! Take a look at the elite consignments of Holstein Plaza members to the More Fun in the West Sale which will be held on February 24th. The consignments include various heifers over GTPI+2800 and several will be ready to IVF (soon). CLICK HERE to read more. Elite consignments for the Fun in the West Sale! Tremendous consignments to More Fun in the Sun Sale! Check out the tremendous consignments of Holstein Plaza members to the More Fun in the Sun Sale, Lido Edition! Don't miss the opportunity to own one of the exciting calves over GTPI+2700 backed by tremendous cow families or flush-age heifers as high as +2650G and over +155 RZG! The More Fun in the Sun Sale starts tomorrow at 2 PM in Sarasota Florida. CLICK HERE to read more. Tremendous consignments from Holstein Plaza members to the Sale of Stars 2016, the Sale of Stars takes place tomorrow November 10 starting at 5:00 PM at the Royal Winter Fair, Toronto Canada. Some of the consignments include high ranking PTA Type progeny of show winners like Gold Luster and Lovestruck or high ranking females from the Roz and Barbie family and many more! CLICK HERE to read more! A tremendous run for Claynook Farms as they have 4 heifers ranking in the Top 25 GPA-LPI young females! CLICK HERE for the complete Top 25 GPA-LPI Females <9 Months. One of the first daughters of Peak Marq A1 942 came back at GTPI+2816 making her the #3 GTPI heifer of the June run! 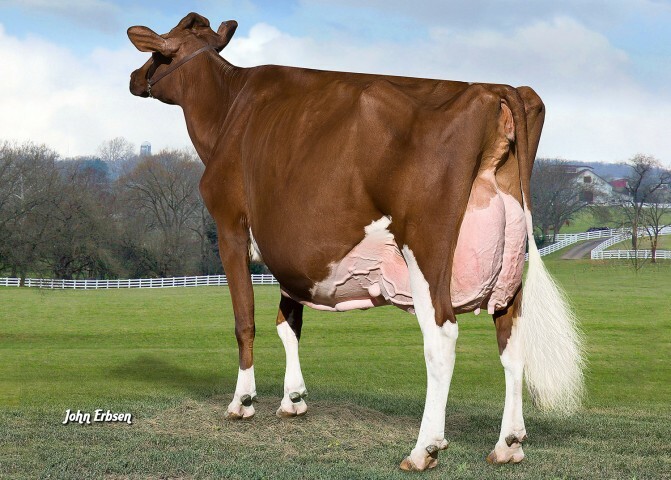 Comfort Thurler Jedi Royal is an early Jedi daughter who combines +2040 lbs Milk with +76 Protein and +2.07 PTA Type! Her alta1stClass dam is a high ranking daughter of Bryhill Ransom Marquisse that also scores well on RZG and NVI and is backed by the same family that produced bulls like Meridian, Munition and McCutchen! Transmitting superstar Aija Supersire Makea is fresh, pictured and scored! 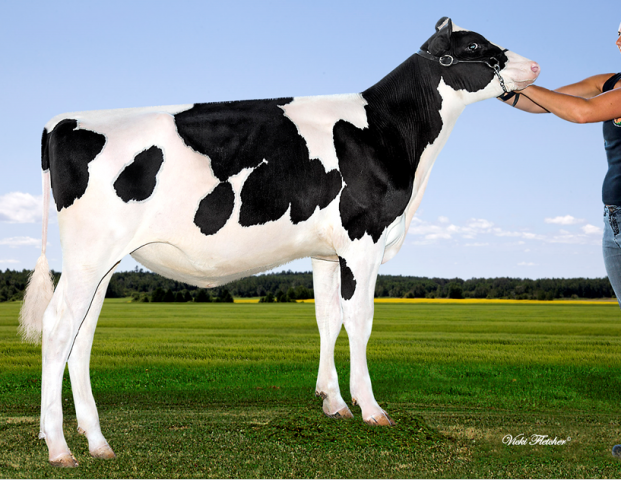 Makea recently scored GP-83-CAN 1st score 72 days fresh, she is currently milking around 100 lbs per day and is the highest milking 2-Yr-Old in the Thurler herd in Ontario were she is competing with 440 herd mates. Makea already has multiple sons at Semex, ABS & Select Sires as well as high ranking daughters by many different sires as high as GTPI+2728! Her offspring also tests well in other systems like Germany and Canada. Comfort & Thurler Holsteins are currently working with her high ranking daughters by Profit, Denver and Rubicon who all score over GTPI+2600 (up to GTPI+2675) and 154 & 153 GRZG. 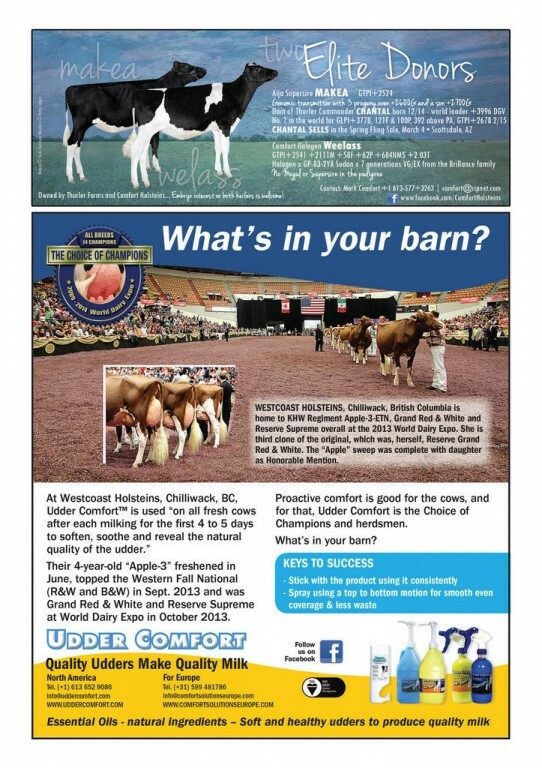 Comfort and Thurler Holsteins are dominating the Canadian Variant Top 10 with no less than 7 females! The donor section of Comfort and Thurler Holsteins has been updated with some exciting new donors. New in the line-up is the #1 Variant Red Female from the December run Comfort Denver Kait-Red GTPI+2602. Also two daughters of genetic powerhouse Aija Supersire Makea have been added, Comfort Profit Jasmine GTPI+2651 and Thurler Rubicon Lyn GTPI+2676. Also new in the donor section is a GTPI+2636, +202FE and +172 CFP Silver daugther from the Laurie Sheiks, ZBW Silver Lining that will enter a flush program soon. Three new exciting donors are added to the profile of Comfort and Thurler Holsteins. Maternal sister Comfort Kingboy Princess and Thurler Monterey Mabel are both daughters of the genomic powerhouse Aija Supersire Makea. Comfort Kingboy Princess is a GTPI+2579 Kingboy daughter and Mabel is an early Monterey daughter scoring GTPI+2658 with over 60 lbs Protein! Mabel her full brother is going to ABS while Princess has a full brother at Semex. Peak Marq A1 942 is a GTPI+2578 First Class grand daughter of Sully Robust 720, the maternal sister to Meridian and Munition! A1 942 also scores high in Canada (DGV GPA-LPI+3392), GRZG and GNVI! CLICK HERE to read more about the donors of Comfort and Thurler Holsteins. Comfort and Thurler Holsteins consigned some exciting genetics. 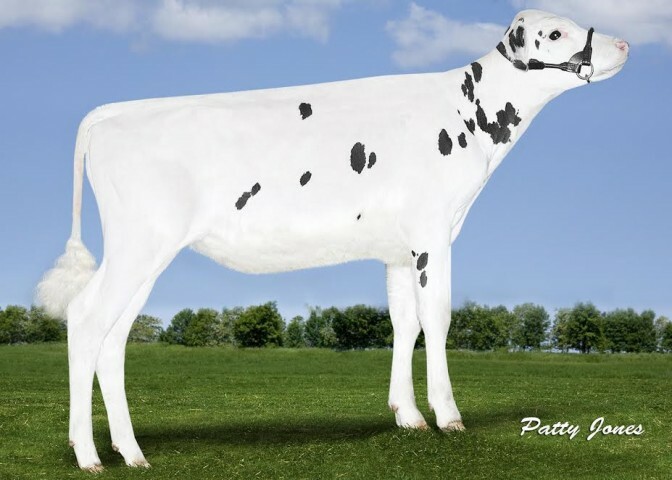 The consignments from Comfort Holsteins include a high ranking and EARLY Monterey daughter of genomic powerhouse Makea, a PTA Milk+2002 Josuper and the #1 GTPI Variant Red Heifer in the Breed and a first choice of her Rubicon and Profit pregnancies. CLICK HERE to read more. Aija Supersire Makea proves herself as a tremendous transmitter! This run three Commander daughters from Makea born in Germany ranked #3, #10 and #18 on the June GTPI Intermediate run of the European animals scoring between GTPI+2623 and GTPI+2545! Makea her Canadian Commander daughter is the #1 GPA-LPI female in Canada (4/15) and sold in the Scottsdale Spring-Fling Sale for $150,000. Selling in the Holstein Plaza Online Heifer Sale is Makea's GTPI+2472 Lottmax daughter that has a tremendously balanced proof! Don't hesitate and add Makea's valuable genetics to your herd! CLICK HERE for a link to her catalog page. 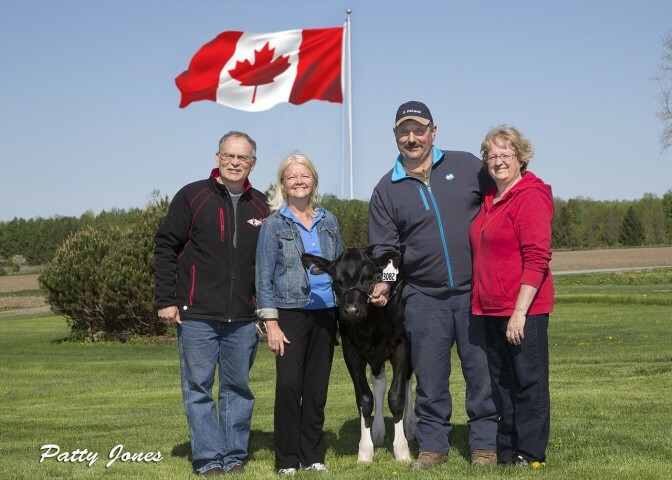 Recently several donors of Comfort and Thurler Holsteins have been pictured including the high ranking GTPI, GPA-LPI and RZG Commander daughter Thurler Commander Chantal and the high ranking RZG Kingboy daughter Comfort Kingboy Princess. Also pictured a GTPI+2472 Kingboy daughter from the Pandoras and a GTPI+2476 Lottomax sister to Commander Chantal that will both sell in the next edition of the Holstein Plaza Online Heifer Sale (June 1-11) and a Red & Polled Kingboy daughter. CLICK HERE to see the results of the picture day at Comfort and Thurler Holsteins. Thurler Commander Chantal is the #1 GPA-LPI Female below 9 months of age in Canada. Chantal was bred by Comfort and Thurler Holsteins and recently sold trough the Spring Fling Sale in Scottsdale Arizona. CLICK HERE for the complete top 25 GPA-LPI Females below 9 months of age (Canadian Owned). Holstein Plaza welcomes Comfort and Thurler Holsteins as members. Comfort and Thurler Holsteins is a collaboration between Comfort Holsteins and Thurler Farms, Inc. and focusses on breeding high testing genomic offsprig for GTPI, RZG and GLPI for both B&W as R&W. The red program focusses on the Variant Red Gene. Comfort and Thurler Holsteins are currently working with some of the highest females in the breed including the #1 GTPI VRC and #4 red female in North America, Ms Hartford Jbr Dior-Red, GTPI+2422, a GTPI+2613 Pure heifer from the Lead Mae's. READ MORE.